Oh you know we will! What is your wish list for the kit? Here are some wishes. Something I've never seen with kits is a way to plug in a extension board. I have a few sets that I bought light kits for and they are awesome, but if I want to add extra lighting, I'll have to run a separate power supply, know what I mean? Just an idea. Rick rivera Great suggestions! As for adding extra lighting, do you mean adding lights inside the same model, or displaying models together and running them off the same power supply. Both are possible with our parts. You could for example use our USB power cable and then one of our BRANCH11 adapter boards-- this provides 8 plugs, kind of like a plugstrip you'd use at home. 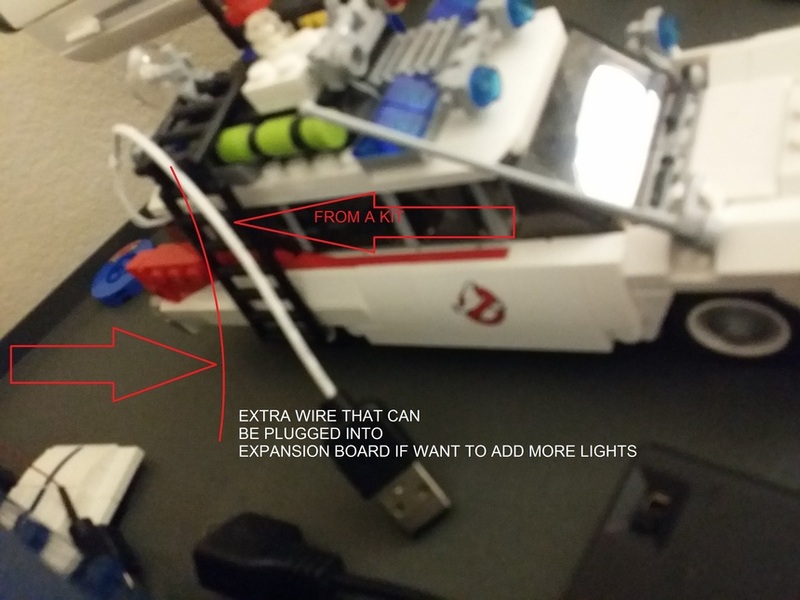 You can then connect additional lights to that, or position it between two or more models, and use our 24" connecting cables to run from the BRANCH11 adapter board to each ship. That's a quick and easy way to install a lot of expandability. Hopefully this helps with your scenario-- please let us know! Rob Klingberg , Thank you for the suggestion, that is something like what I was talking about. I didn't think about how you suggested, but that could work too. See pic attached to see what I was thinking. Rick rivera Yes, this is how all of our kits are made. The kit in the photo isn't one of ours-- the downside with many other kits is that, as you say, they are not expandable, but that's something we've built into our kits from day 1.